Reports on Reddit explain how it works. As you finish one episode and wait for the next one to buffer up, Netflix will serve up a trailer for one of its own programs – something like Orange is the New Black or The Crown that Netflix has funded directly rather than licensing from elsewhere. After you've sat through the promo, your binge-watching continues. As yet there's no indication as to if or when the ads will roll out to everyone, or how many people are in the trial (though it seems to be live in several countries). 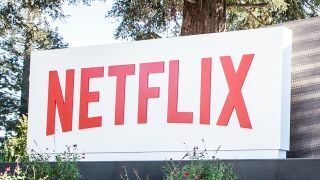 "We are testing whether surfacing recommendations between episodes helps members discover stories they will enjoy faster," Netflix told Ars Technica in a statement as it confirmed that a test for video adverts was indeed underway. Netflix says the ads are skippable, so if you can find the remote or the mouse quick enough, you don't have to sit through a promo clip of Ozark or Better Call Saul. So far the trailers do seem to focus on Netflix's own programming, though that's based on user reports rather than anything Netflix has said officially. On some platforms Netflix already shows video previews when users hover over titles. Ultimately it's going to be user response – how many of these adverts get clicked on – that will determine whether the test gets rolled out as a permanent feature.